Just wow. Be sure and read the whole thing. "But money isn’t the only cause of secessionist sentiment. We Catalans have long been attached to our distinct identity and never accepted the loss of national sovereignty after being defeated by the Spanish monarchy in 1714. 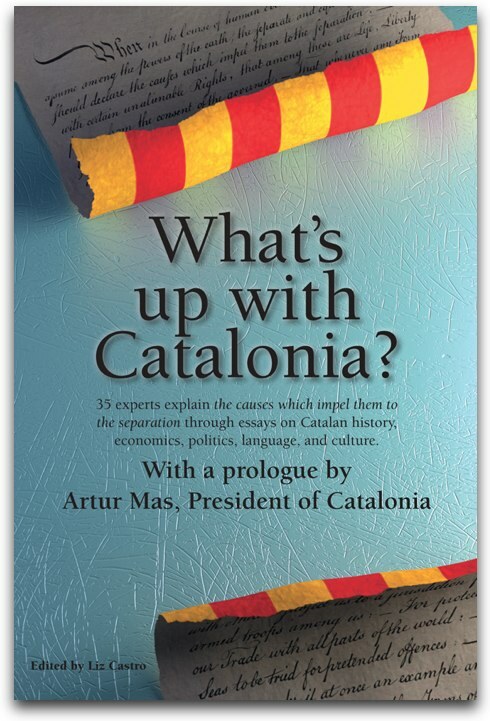 For three centuries, Catalonia has striven to regain its independence. Most attempts to establish a state were put down by force. The “Catalan question” was a major catalyst of the Spanish Civil War in the 1930s, and Gen. Francisco Franco’s dictatorship harshly repressed Catalan culture." AFP/Business Recorder: Catalonia president says bailout for Spain "inevitable"
""I understand from the information we have that Spain will end up having to have a rescue," he added. "Spain has the potential to emerge from this situation but it needs help for a period."" "- During my three-year staying here I noticed that this independentist tendency is growing up among Catalans, and not only among leftist or nationalist parties but also among professionals, businessmen and employers. I understand there is some kind of frustration in the relation between Catalonia and Madrid, not only based on the financial system but also because of this widely spread feeling that Madrid, or the rest of Spain, don’t understand the Catalan situation. Again we don’t have about this any official position as it is a domestic matter, but we are following up its evolution very closely and we will keep doing so. " "In the context of the demand for constitutional change, the new budgetary pact between Madrid and the autonomous regions appears, by virtue of its obsession with austerity, to be a monument to the absence of political horse sense: specifically with regard to the refusal to envisage the explosive consequences that major cuts in public funding would have on relations between the central government and the regions. In Spain, like in Portugal and Greece, the pyromaniacs from Berlin and their local assistants have succeeded in setting a torch to the social equilibrium, with no thought for the terrible demons that may be awakened by the uninterrupted blaze of the sacrificial fire that must be kept stoked on the altar to the goddess of austerity." "It doesn’t matter anymore; time is over for Spain as we know it. The time for unitarian, centralist and opaque Spain is over." "Catalans make about 16% of the entire Spanish population but produce 23% of the GDP which is comparable with the GDP of Finland or Denmark. The per capita GDP is only a little lower than in Germany." "The Autonomies have undertaken 70% of Spain’s deficit adjustments while they represent 39% of the public spending"
"The president added that interference will only lead to ever stronger sentiment for independence. " " Mr. Mas, however, did not raise the issue of separation at the meeting of regional leaders on Tuesday, according to other participants, and left Madrid without issuing a statement. " ""Big corporations are paying less and less in taxes. Their profits have not fallen at the same pace that their (Spanish) tax contribution has fallen," said Carlos Cruzado, chairman of Treasury Ministry trade union GESTHA." "Rajoy, who is becoming notorious for prevarication, is understood to have asked for a delay until after elections in his home region of Galicia set for next month. The prime minister fears his PP party will lose the election if he is forced to accept a humiliating rescue package in advance of the vote."